Amazon reports earnings in just a few days, so I wanted to share my thoughts on the stock and a potential trade for you to consider. 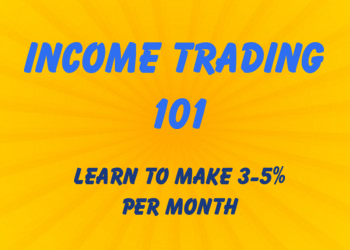 This is an "earnings trade," meaning that it's a more risky kind of setup because of the event risk surrounding the stock. But that's why we are here, right? God, it's like this every quarter. AMZN comes out with their numbers, and then you have the dingbats who obsessively focus on "earnings per share." And how EPS is low, or how their margins are nearly 0%, and why that's a screaming "sell signal" for the stock. I'm telling you, right now, the earnings number doesn't matter. The way Amazon works is to plow all their money back into the company... very aggressively. There's only one area I'm focused on... AWS numbers. AWS is Amazon Web Services. I'm a user, but you also have massive enterprises who use the network. Those numbers are what helped AMZN to clear past 1,100 last quarter. AWS is a growth area with super high margins... watch the price reaction to those numbers. Normally, I would say "high AWS numbers good" but there's something else to consider. Amazon has been a massive winner this year. And by this year I mean January. Up over 20%. Odds are, a lot of the good news coming out for this earnings report is getting "priced in" the stock. So even if earnings are a beat, or AWS numbers are high, it may not justify new buyers coming in because those that wanted to buy the stock already have. Jammed higher into earnings, then fade post-earnings. In my opinion, AMZN has a high probability of an underreaction into earnings. 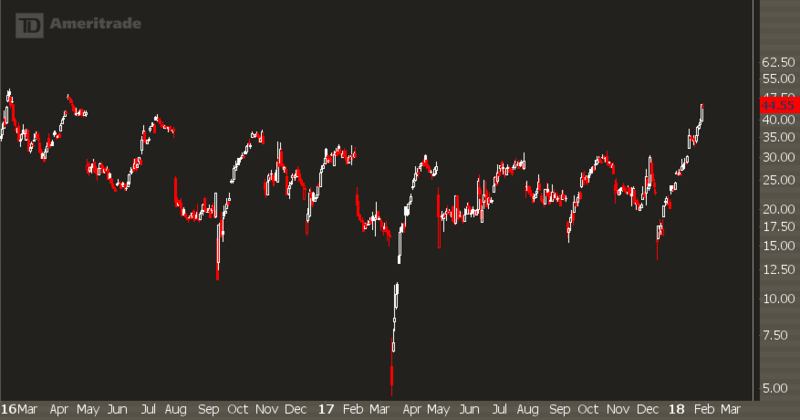 This is a chart of VXAZN, which is the VIX for AMZN options. It's at the highest levels since early 2016. It's easier for a small company to move big on earnings compared to a big company. Last year, AMZN had about 40% less market cap. It is more sensitive to earnings. Now? That's a hard sell. Market's currently pricing about 100 points of movement in either direction. That's about 7% worth of movement. In a vacuum, that actually seems pretty fair. But given the fact that we've already seen non-reverting volatility, it's a decent trade. Before I start off, let's get this out of the way. This is educational purposes only, I'm not your broker, you are responsible for your own risk management, option risks can be found at the OCC if you want to read about them. 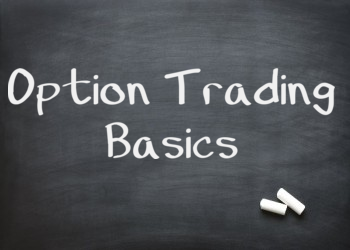 If you've never traded options before, then slowly back away because we're diving into the dark arts. I'm looking at an iron condor. 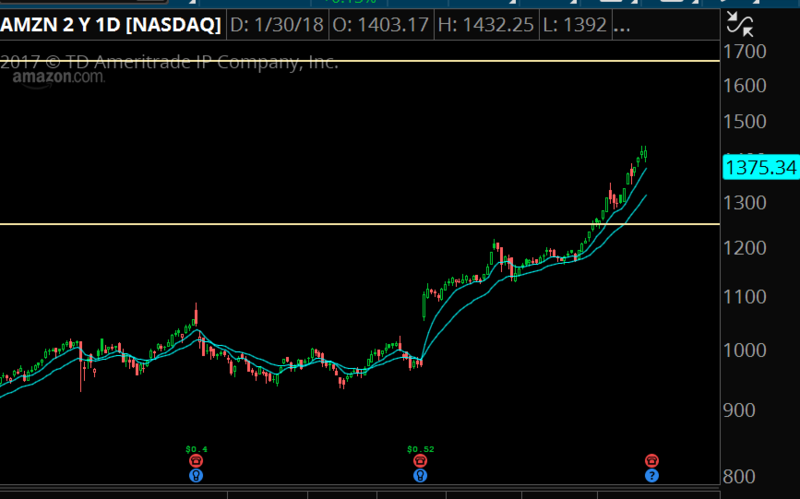 This is a bet that AMZN will be rangebound after earnings and NOT see a massive move like it recently had. Note: the bid/ask spread is stupid wide here so there's no guarantee of getting filled. ALSO NOTE: I like March options because they are further out in time... that gives me "wiggle room" if I'm wrong. 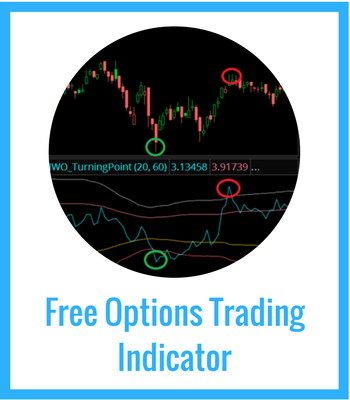 You can try to use weekly options, but if you're wrong then your position gets blown out pretty quickly. The trade is certainly biased a little bit to the upside. That's because the trend is up. Duh. Any pullback in AMZN and I get bullish, and any large gap higher I get bearish. I expect equilibrium and more two-sided action post earnings. Target profit is about half of the credit, so I want to close out the spread around 1.30-1.40. 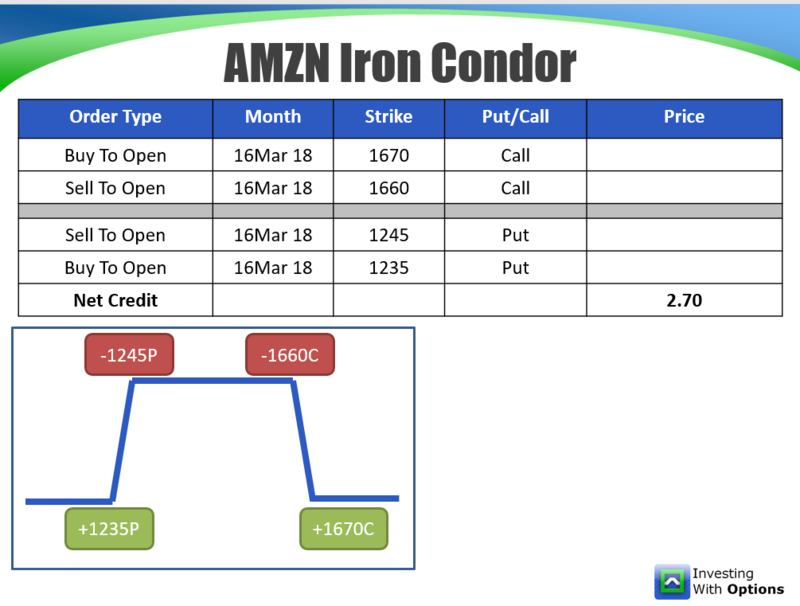 I recently had a great post-earnings trade in AMZN a month or so back and did a full video analysis to show you how the trade works.